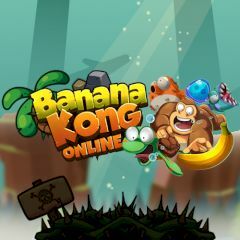 Enjoy jungle adventure with Banana King and try to collect a many bananas as possible. You need to jump over obstacles, spikes and gaps, deal with monsters and pick up crates with bonuses. All this must be done rapidly and without getting in troubles. Maximize your points and have fun.